Dr Dre is releasing a new album based on the upcoming N.W.A biopic Straight Outta Compton, according to his N.W.A bandmate Ice Cube. In an interview on Philadelphia’s Power 99 radio station, the actor and rapper said: “Dre is dropping an album inspired by the Compton movie. He’s dropping something on August 1”, before adding: “It’s definitely a dope record, and he’s dropping it all on the same day”. Although Ice Cube’s comments suggest that the album is coming out this Saturday, it has been suggested that Dre is likely to announce the album on this Saturday’s edition of his Beats 1 radio show The Pharmacy then release the album closer to the US release of Straight Outta Compton in mid-August. The album will be entirely produced by Dre, and is likely to feature contributions from Kendrick Lamar, Eminem and members of N.W.A. Dr Dre’s last solo album, 2001, was released 16 years ago. Since then, Dre has been working on the long-teased Detox. Last year, however, Dre collaborators Marsha Ambrosius and Dawaun Parker said the album was dead and Dre had moved on to new projects. 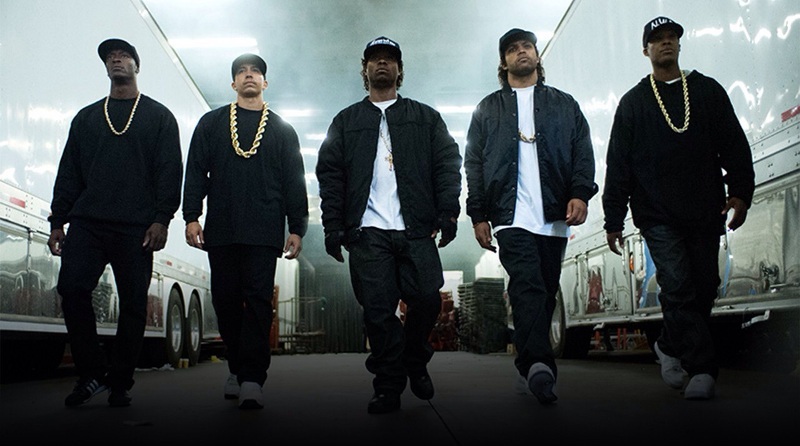 Straight Outta Compton is released in UK cinemas on 28th August 2015.